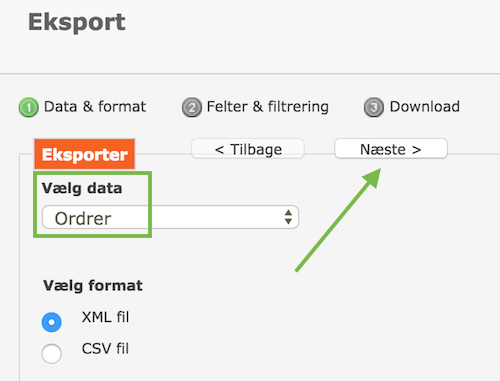 Step 1: Login to your SmartWeb admin account: https://login.smart-web.dk/. 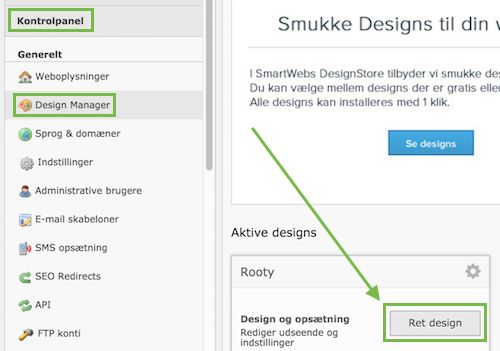 Step 4: Now the helloretail module is activated in your SmartWeb webshop. Please follow the next steps below, to complete your setup. Important: Please replace YOUR_WEBSHOP_DOMAIN with your own webshop domain. You’ll need to create a new page, for helloretail to be able to display the search results to the user. 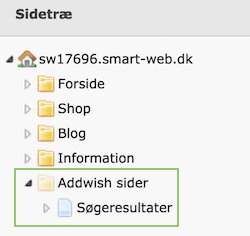 Step 1: Create a new folder, call it: “helloretail sider”. Note: This page has to be hidden. 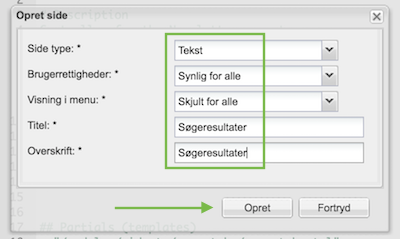 Step 2: Create a new page, call it: “Søgeresultater”. Place this page in the “helloretail sider” folder, you just created in the previous step. Note: This page should not be displayed in the navigation. 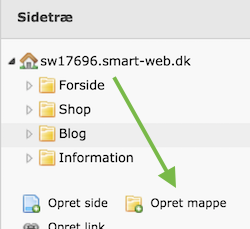 Step 3: No drag the “helloretail sider” folder to the root of your site-tree and then drag the “Søgeresultater” page into the “helloretail sider” folder. Step 5: Once you’ve verified the page exists, please send the URL to helloretail support: support@helloretail.com. 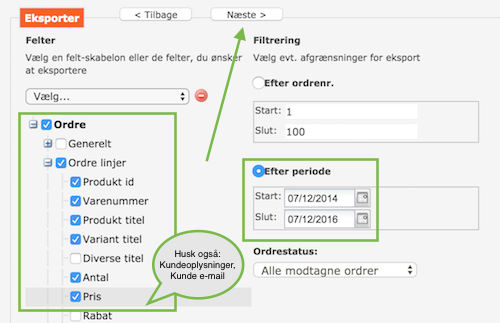 Step 5: Now, please send this historical order feed to helloretail – for helloretail to train the recommendation algorithm before you get started with helloretail.